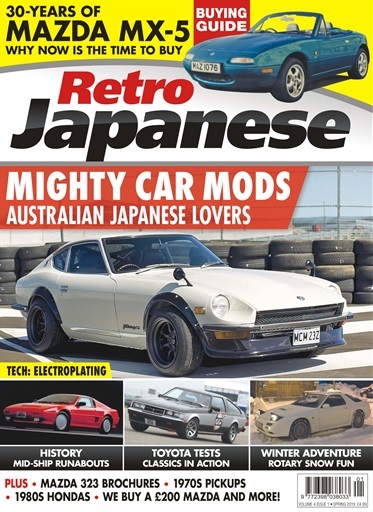 (0 Customer Reviews) | Write Review 4 issues per year Retro Japanese is here to give due recognition to the growing appeal of classic Japanese cars. For around 50 years, Japanese car manufacturers have been gaining in popularity both in the UK and around the world. Toyota, Honda, Subaru, Nissan, Datsun, Mitsubishi, Suzuki, Daihatsu and many more are now globally significant brands. As the British car industry crumbled in the 1970s, so Japanese cars rose to prominence. Many are now built in the UK. As a result, a lot of those iconic makes and models from the 1980s especially are now considered classics by a growing band of enthusiasts. 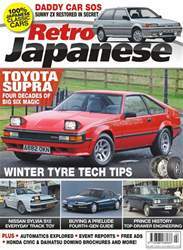 Retro Japanese will celebrate them all through road tests, buying guides, practical advice and technical content. This quality one-shot is the definitive celebration of all Japanese classic cars. Looking for Retro Japanese in print? Unfortunately pocketmags.com does not sell print copies of Retro Japanese, but all is not lost. Our partner at magazine.co.uk sells print subscriptions at the best prices online. Retro Japanese is here to give due recognition to the growing appeal of classic Japanese cars. For around 50 years, Japanese car manufacturers have been gaining in popularity both in the UK and around the world. Toyota, Honda, Subaru, Nissan, Datsun, Mitsubishi, Suzuki, Daihatsu and many more are now globally significant brands. As the British car industry crumbled in the 1970s, so Japanese cars rose to prominence. Many are now built in the UK. As a result, a lot of those iconic makes and models from the 1980s especially are now considered classics by a growing band of enthusiasts. 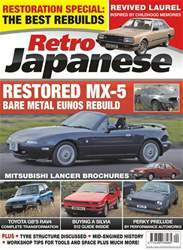 Retro Japanese will celebrate them all through road tests, buying guides, practical advice and technical content. This quality one-shot is the definitive celebration of all Japanese classic cars. 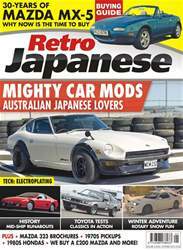 You'll receive 4 issues during a 1 year Retro Japanese magazine subscription. You'll receive 4 issues during a 1 year Retro Japanese magazine print subscription.